Welcome to my Alaska Natural History website! 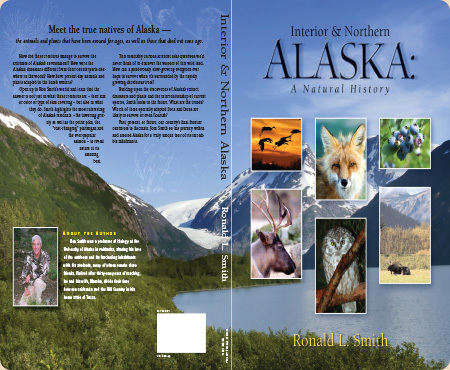 The main focus and product on this website is my book Interior and Northern Alaska: A Natural History. The book is about the landscapes, plants and animals of the biggest state in America. And the farthest north! It includes dinosaurs in the arctic, ice-age Alaska, giant short-face bears, mammoths, bison, American lions, scimitar cats, changing modern landscapes, tundra plants and animals, boreal forest plants and animals, salmon and other fishes of Alaska, and adaptations that help these organisms survive life in the Far North. The book spawned, no pun intended, the idea to create a self-guided course in Alaska Science. I put together a CD, appropriate for high school students, containing 13 instructional units, each tied to a chapter of the book and each containing additional readings, links to websites, observations, experiments and even tests. This educational package is being used by home school students across Alaska and would be appropriate for home school students in the entire northern tier of U. S. states, especially Washington State, and all the Canadian provinces. The high school curriculum was followed by another science curriculum CD appropriate for upper elementary to middle school students. This curriculum consists of 12 instructional units. 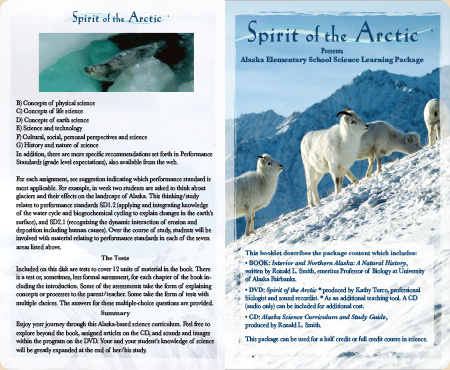 Both curriculum packages include and incorporate the Spirit of the Arctic DVD, an ecological photo and sound tour of the entire state created by Kathy Turco. Kathy recorded all the animal sounds included on the DVD. Over 200 wildlife and landscape photos on the DVD were taken by world famous wildlife photographer Michio Hoshino. 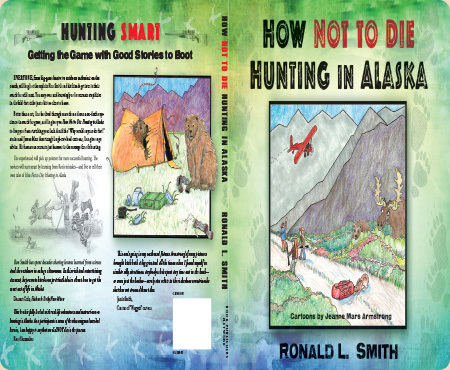 Another book, How Not to Die Hunting in Alaska, is a “how not to” guide to hunting in our largest state. It is entertaining to read, and illustrated by Jeanne Mars Armstrong’s wonderful cartoons. This book is a “must read” in outdoor education! Copyright © 2019 AlaskaNaturalHistory.com. All rights reserved.